Anna Jagiellon was born on 18 October 1523 to King Sigismund I the Old of Poland and Bona Sforza. 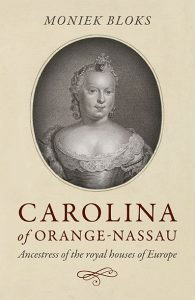 She spent her childhood in Kraków with two of her sisters, Sophia and Catherine. It was a rather mundane childhood, and she was quite a forgotten child. She was involved in charity and spent her spare time embroidering, sewing and playing chess. She was fluent in Italian, and a bit of Latin, but not much more of her education is known. Her father even forgot about marrying her off. It was only after his death in 1548 the first candidate appears. He was quite unsuitable and the new King, her brother, also did not attend to her marriage. In 1550 her mother Bona attempted to negotiate a marriage, but this too came to nothing. Her sister Sophia was finally married in 1556, to Henry VI, Duke of Brunswick-Lüneburg. By now Anna was in her mid-thirties, and finally, her brother seemed to remember her. A double match was arranged between Anna and Magnus, Duke of Östergötland and Catherine and John, Duke of Finland. In a twist, only John arrived in Vilnius, and though it would be uncustomary for a younger daughter to be married first, Anna agreed to it. After being jilted at the altar, Anna moved to the Royal Castle in Warsaw and lived there for about ten years. She was not alone, as she had a court of around 70 people around her. Despite her age, marriage proposals continued to come. 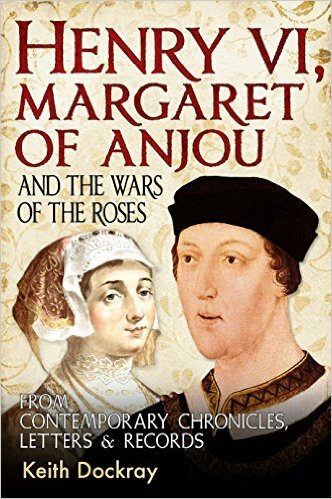 Her life began to change when her brother died in July 1572 leaving no heirs. Suddenly she was no longer his spinster sister but an heiress in her own right. Her brother had left all his wealth to his three sisters. The throne was offered to Henry of Valois, who would later become Henry III of France. He was elected King of Poland on 11 May 1573 upon the promise that he would marry Anna. However, for some reason, the treaty did not include this promise, and again Anna was left humiliated. By May 1575 Henry was removed as Polish King. Later that year Anna was proposed as the next monarch. The belief was that women could not rule on their own and so Stephen Báthory was proposed as her husband. They were elected as co-rulers on 15 December 1575. 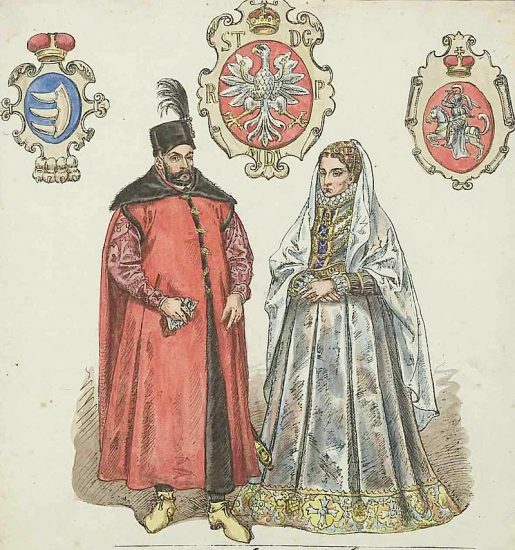 They were married on 1 May 1576 at Wawel Cathedral and crowned on the same day. Anna was now 52 years old but was believed not to have entered menopause. The marriage was duly consummated, perhaps in the faint hope of an heir. The couple mostly lived apart, and Stephen enjoyed the greater political influence. Rumours soon arose that he wished to marry a younger woman. 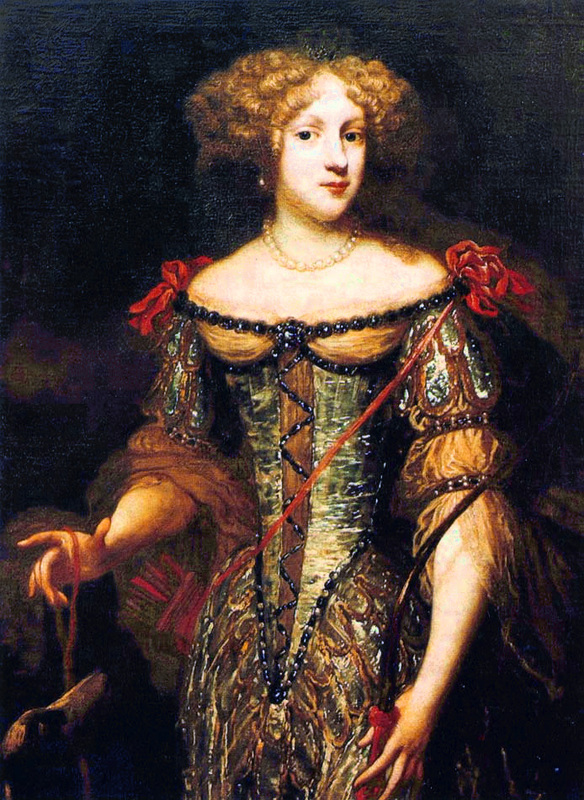 With little political influence, Anna sought to occupy her time and sponsored several constructions, such as the Royal Castle in Warsaw, the Sigismund Augustus Bridge and the completion of Ujazdów Castle. She also funded the building of the tomb monuments of her brother, her mother and eventually her husband when he died in 1586. His death gave her an opportunity to claim power for herself, but she did not take it. Instead, she proposed her niece and nephew Anna and Sigismund Vasa, the only children of her sister Catherine and King John III of Sweden. Sigismund Vasa was elected King on 19 August 1587, and he arrived with his sister in Poland that October. 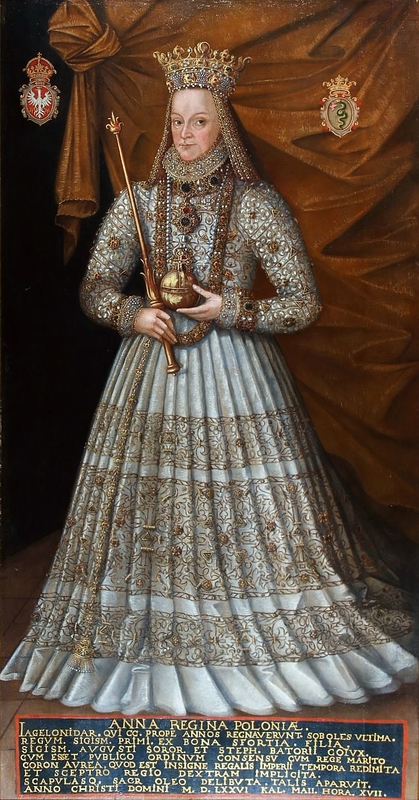 In July 1595 she was named as godmother to Sigismund’s son Władysław, who would become King of Poland. She died not much later on 9 September 1596, and she was buried at Wawel Cathedral. There is, I believe, strong evidence that Henri III of France was homosexual, though he also had several mistresses. At any rate he was so despised in the Catholic world that when he was assassinated by a Dominican friar there was widespread rejoicing. Anna dodged a bullet on that one.